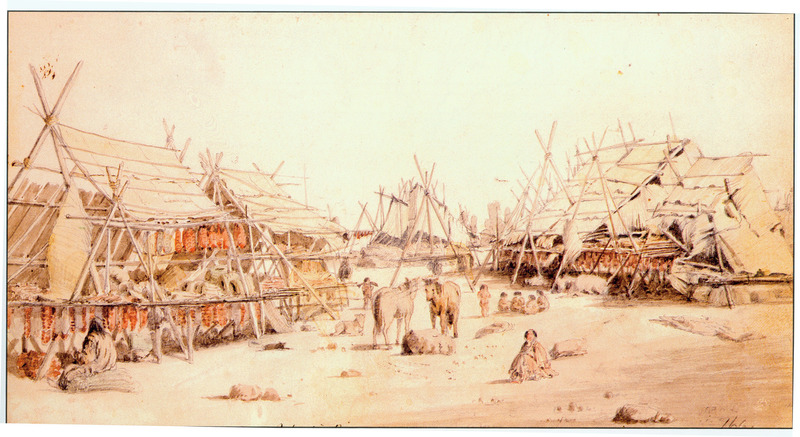 Paul Kane's illustration of a Lakes Indian camp near Kettle Falls. This camp shows the methods used by Salishan peoples of the Upper Plateau to preserve salmon. Reproduced from Wanderings of an Artist.